Drift pinch pots are designed to suggest fluid shapes with the wooden stand presenting an angular contrast. 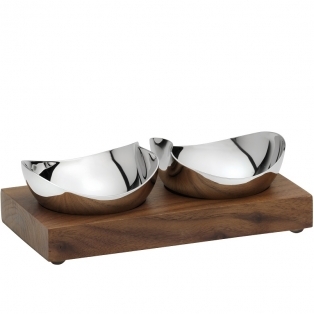 Each pinch pot is pressed from 18/10 stainless steel, hand finished and located on a walnut base. Ideal for condiments, spices or dips. 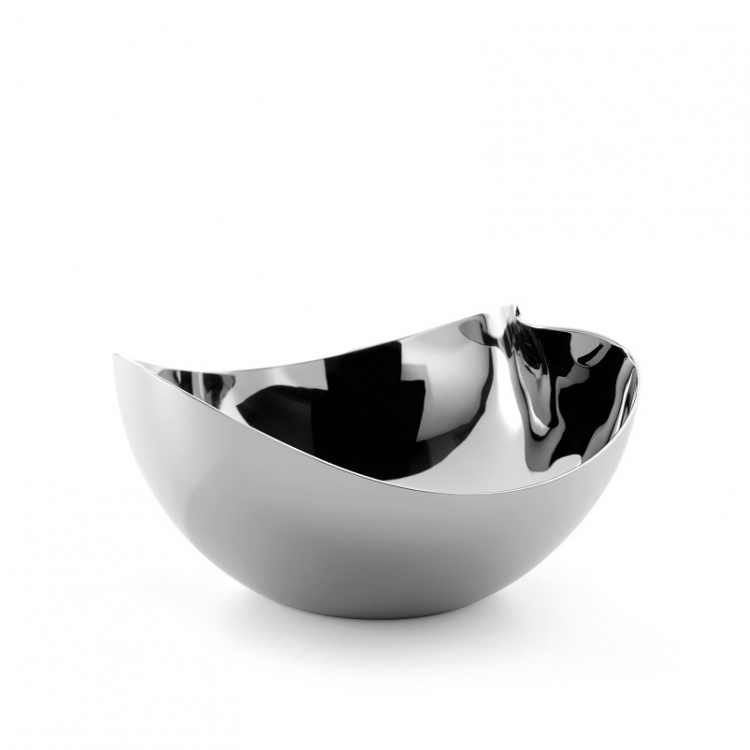 Available with a mirror finish and presented in a gift box. The Drift range also includes salt and pepper mills, larger bowls in varying sizes and a tea strainer.